Now in its 5th year, Aussie Wine Month is the biggest annual celebration of Australian wine, held in May. The 2016 celebration of Australian wine will feature a large number of events, tastings, lunches, dinners and parties throughout Australia's wine regions. Naturally our Ultimate Winery Experiences members will be getting involved and here are some of the events you can look forward to during May. Keep an eye on our What's On page for additional events as they are announced. d'Arenberg is offering the chance to discover the world of single vineyard Shiraz. Senior Winemaker Jack Walton will expertly guide you through a vertical masterclass of three wines from the Amazing Sites range, initially released in 2010. You will be among the first in the world to taste the 2014 vintages of The Bamboo Scrub Shiraz, The Amaranthine Shiraz and Shipsters’ Rapture Shiraz. Each of these wines are sourced from a single vineyard, a small plot of land with a unique flavour profile and personality. Following the masterclass, d’Arry’s Verandah Restaurant will provide a sumptuous seven course degustation, brimming with local and seasonal produce. The menu will be complimented with wines from the extensive d'Arenberg range, varieties that have traditionally been produced in Italy and France, that now have strong foundations in the McLaren Vale region. Cabernet lovers, rejoice! Voyager Estate is taking a journey through the world of Margaret River Cabernet Sauvignon. Commencing with a Cabernet masterclass including a 10-year vertical tasting; experience the influence of site selection, growing season conditions, style evolution, winemaking variations and bottle age on this signature Margaret River wine. This is your opportunity to taste some extremely limited, and rarely opened, Cabernets. Following the tasting, embark on a Cabernet-focused tour of the Estate with exclusive access to the winemaking team, who will take you through barrel tastings and a sneak peek at some new and unreleased wines. Finish the day in relaxed style with a Discovery lunch, a six-course sensory dining experience matched with museum and limited release wines. The Ultimate Cabernet Experience will take place on two days only - Saturday 14th and Sunday 15th May 2016 and places are highly limited. Come along for an indulgent and enlightening day as to uncover the secrets of the alternative grape varieties that are grown at De Bortoli Yarra Valley Estate. 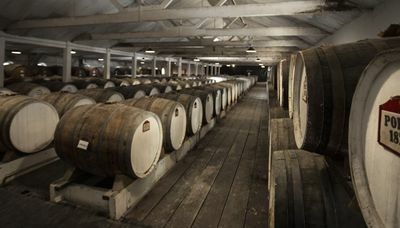 Begin with a 1 hour guided tour of the Vineyard and Winery and taste the wines under production from the tank and barrel. 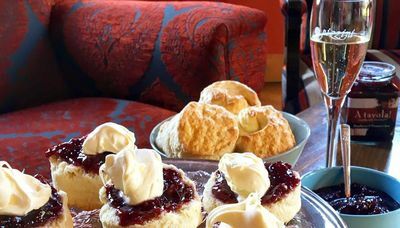 Return to the cellar door for a delicious tasting of De Bortoli's newest and most exciting varietals, then enjoy a 3 course lunch designed by head chef Adam Mead including matched wines and tea or coffee to finish.